This cranberry sugar scrub recipe was inspired by my latest trip into the freezer. I’m one of those people that stocks up on cranberries after the holidays and buys WAY too many of them. Hey, they’re on clearance for pennies, right? Why not stock up and find some creative cranberry recipes all the way through June! 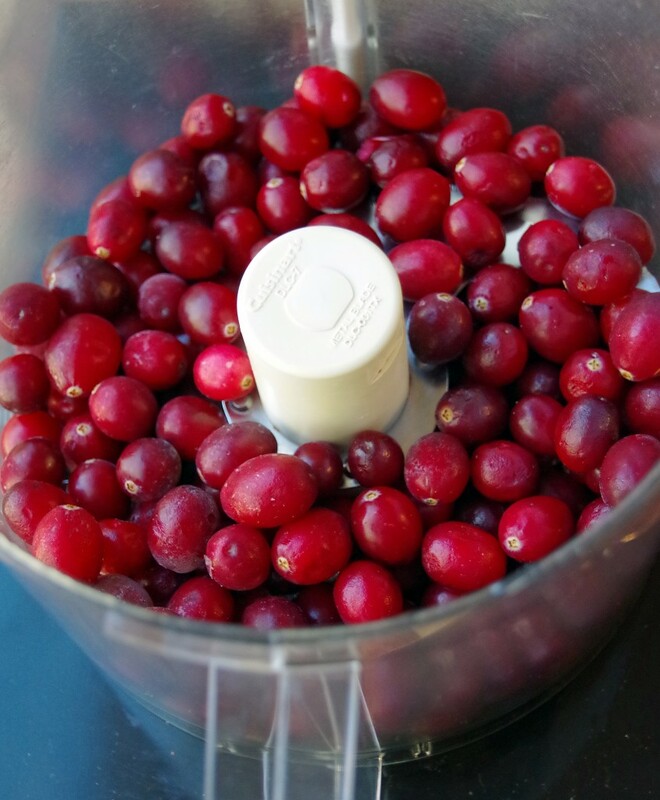 Well, I still have several bags of cranberries in the freezer so I decided to make this cranberry sugar scrub recipe. I added a little bit of vanilla along with the cranberries and will be enjoying some seriously yummy showers over the next couple of weeks. 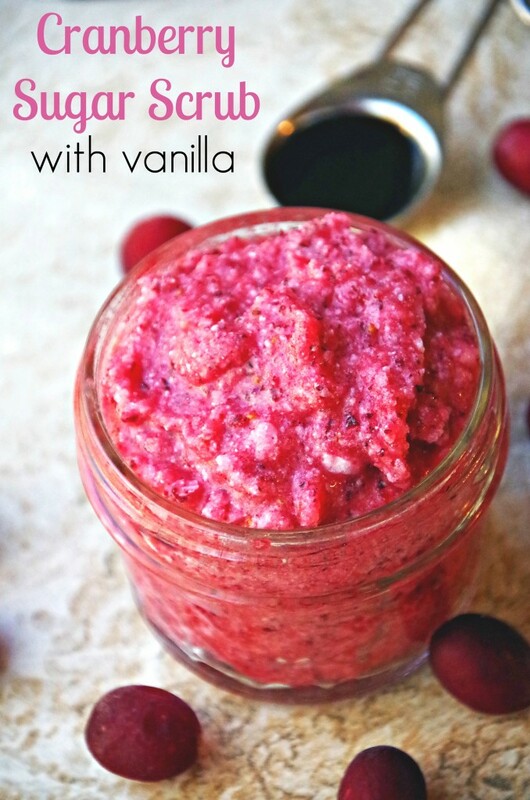 You will need a food processor for this sugar scrub recipe to really get those cranberries well chopped! I like to use coconut oil for my sugar scrubs but it does leave a very distinct coconut aroma to your scrub. You can use olive oil or almond oil, depending on your personal preferences. It will be a bit thinner but just cut back on the amount you use. Since coconut is a solid at normal room temperature, it will hold the scrub together a bit better than other liquid oils. This cranberry sugar scrub recipe will last for a couple of weeks at room temperature so you should have plenty of time to use it up. If you need to store it longer than that, you can put it in the refrigerator, although it will definitely harden up quite a bit. Here is an affiliate link for some small mason jars if you need something to store it in. This Cranberry Sugar Scrub Recipe with Vanilla is an easy way to pamper your skin and use up a few extra cranberries. Place all ingredients in a food processor and puree until everything is relatively smooth. 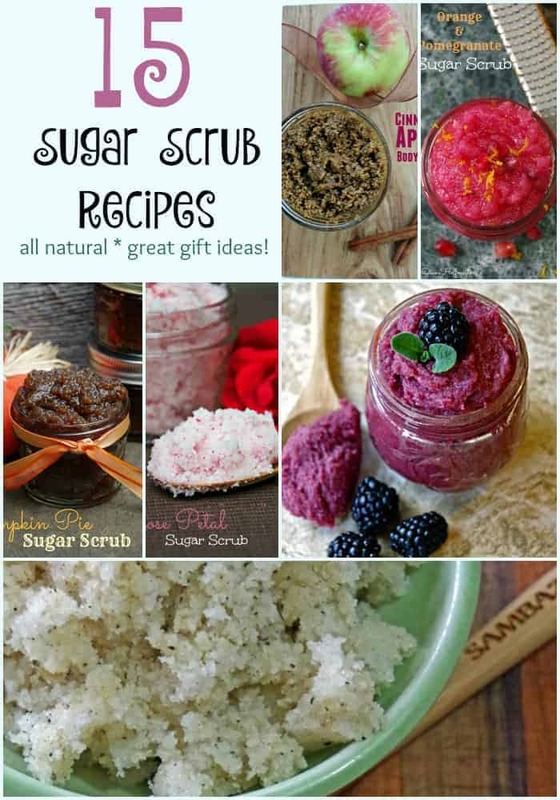 Love homemade sugar scrubs? Check out this roundup for more inspiration! Just click on the image below for some great homemade sugar scrub recipes!